Aloha Dog & Cat Hospital is a general veterinary practice that strives to provide complete, convenient, and compassionate care to all of our clients and their pets. Founded in the 1960′s, Aloha Dog & Cat has remained a family owned business, steadily growing from a one doctor practice to the team of six veterinarians it is today. 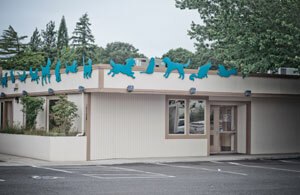 Recently remodeled, our new veterinary clinic is spacious and welcoming. Serving the greater westside Portland area including: Beaverton, Aloha, Hillsboro, Tigard, Tualatin, and Bethany since 1968. Learn about our great facility and all the services that we are able to provide. 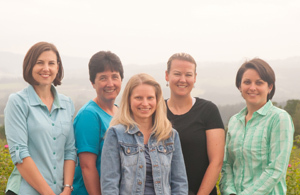 Get to know the friendly and caring members of our team. 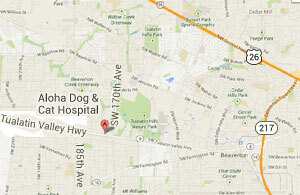 Visit our clinic, conveniently located on TV Highway, between 185th and 170th.